Tamannaah recently interacted with some kids at a charity organisation. The vivacious Tamannaah is arguably one of the most popular and loved divas in Southern cinema today. During her reasonably eventful career, the stylish lady has made quite a name for herself thanks to her stunning looks, top-notch style game, lively personality and sincere performances. 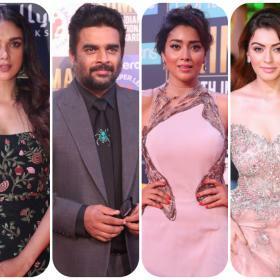 Moreover, she has worked with some of the biggest stars in the industry—right from Prabhas to Dhanush—and proved that she is a force to be reckoned with. Now, she is in the limelight for an awesome reason. 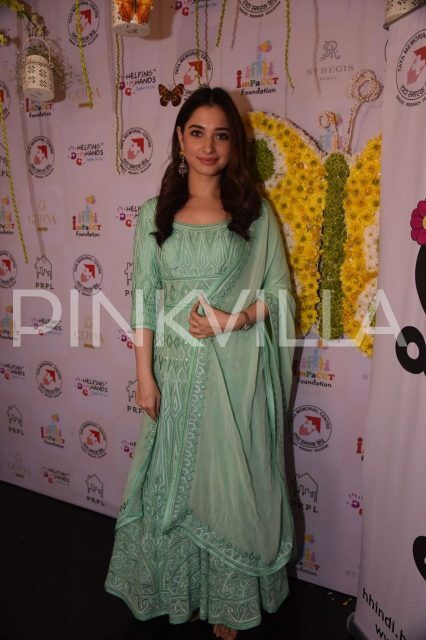 As it so happens, Tamannaah recently visited a noted charity organisation and spent time with kids. Sporting a stylish but simple dress, she looked nice and apparently enjoyed the interaction a lot. Besides interacting with the kids, she also posed for some pics with them. We are sure that the kids must have loved meeting T-town’s much-loved diva. On a related note, Tamannaah will soon be seen in ‘Queen Once Again’ which is a remake of the Kangana Ranaut starrer ‘Queen’ and will be directed by Neelakanta. Sometime ago she had said that the remake can recreate the magic of the original. Besides ‘Queen Once again’, she also has ‘Sketch’ in her kitty. An action-comedy, it also features Vikram in the lead.